Carhartt Norton Long Sleeve Shirt (Check Dark Grey Heather) - Consortium. 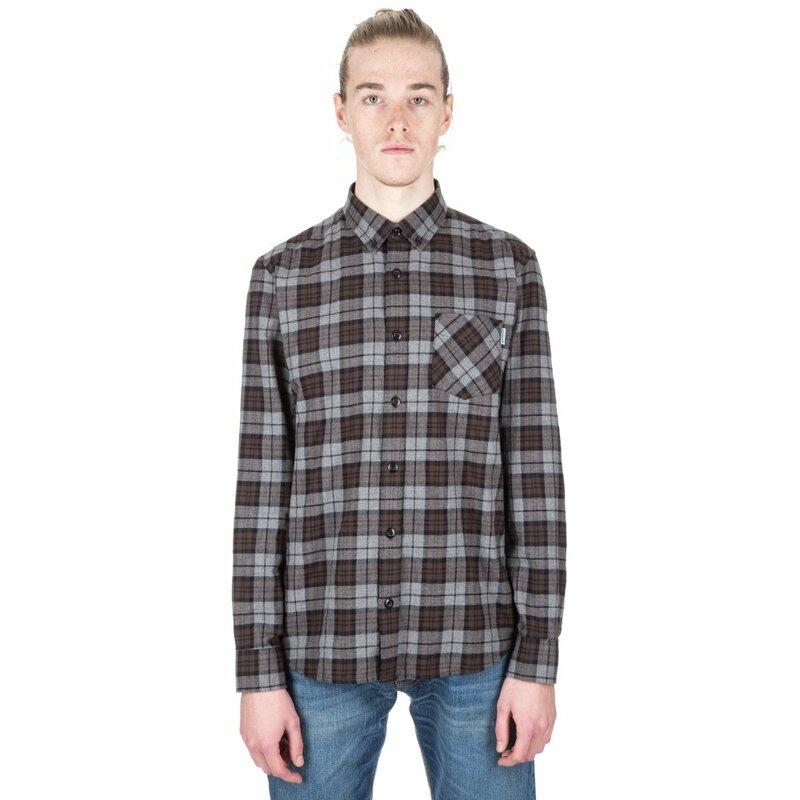 Regular fit men's Carhartt Norton Long Sleeve Shirt in a garment washed Check Dark Grey Heather cotton fabrication with spread button-down collar; 7-button front placket; adjustable cuffs with 2-button closure and curved hem. The Carhartt Norton Long Sleeve Shirt is finished with a Left side breast pocket with Carhartt branded label. * Left side breast pocket with Carhartt branded label. * Adjustable cuffs with 2-button closure.